You may have heard of yoga before but have you heard of Average Joe-GA? 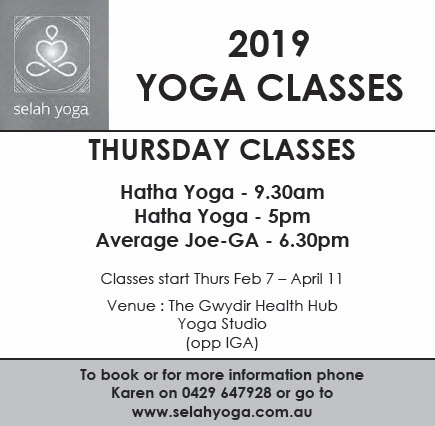 This is a men’s only yoga class for the awesome Average Joes out there who need to give their body a really good stretch, and maybe enjoy a bit of relaxation as well. If you are preparing for the football season or starting to feel the results from years of sport, working, lifting, moving – that means – EVERYONE, then this is the perfect class for you. These sessions are designed to help with strengthening of joints, stretch out muscles, ease the pain in that aching back and generally improve your mobility and wellbeing. For those active gym fitness types you’ll find that yoga will help balance out and enhance the strength work you are already doing. The added flexibility can help in reducing risk of injury and assist in quicker recovery. Yoga can also help you keep your head in the game, increasing your focus, keep cool under pressure and increase your stamina due to the practiced breath control. One of the big things that men find with a regular yoga class is that just get back in touch with what their body is and isn’t capable of doing at any particular age. They often find that the benefits can be seen from just one class but that regular practice starts to filter into their lives bringing not only physical relief but improved sleep patterns, stabilising blood pressure and reducing stress. If you feel that this sounds like you then come along and check it out starting on Thursday February 7 at 6.30pm at The Gwydir Health Hub. Call Karen on 0429 647928 for more information.